Deep down there, at the back of time, where we all come from... It is the place where life began... It is the time when we all humans were one. A place with mystical powers of creation. Since the beginning of time, Africa has been the mother, the creator, the one that unites us all. We humans are the curious child, the one that strives to understand, to change, and to fulfil its destiny. Embracing the idea of creation, we harnessed the best of our abilities to craft this unique piece of footwear. 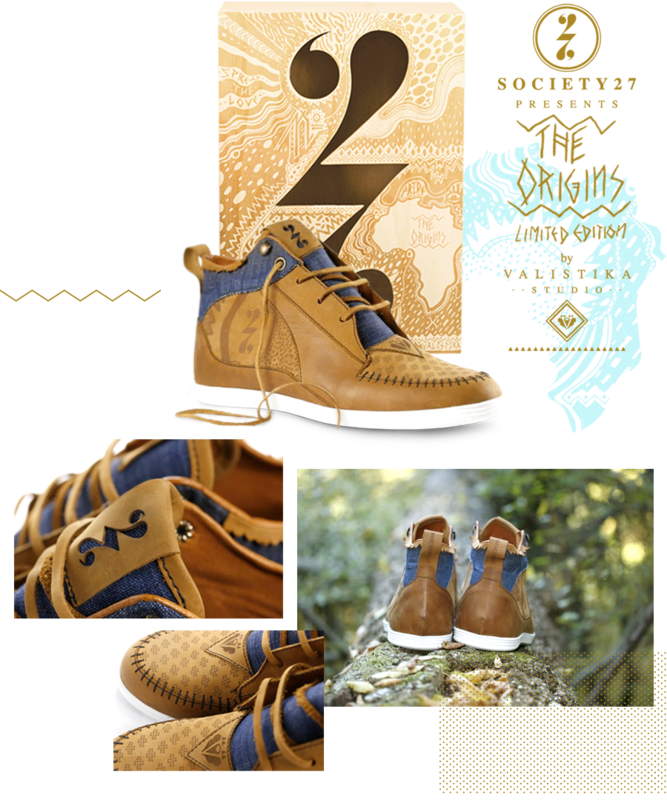 "The Origins" furthers the idea of Society27 for a global product-based community. This is a hand-made, personalized one-of-a-kind item that bridges the next 27 members.